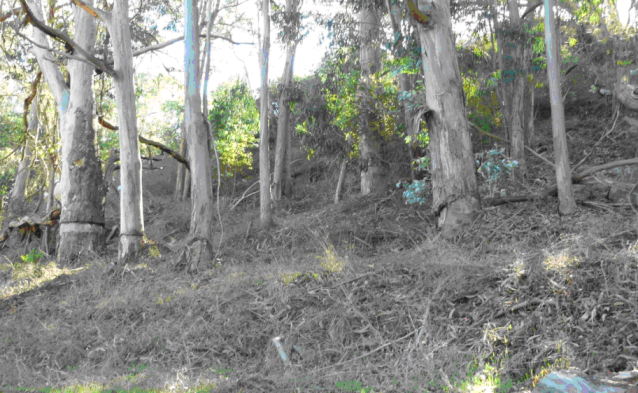 The Significant Natural Resource Areas Management Plan (SNRAMP – Sin-Ramp) calls for removing nearly 18,500 trees in Pacifica and San Francisco. Yet the Draft Environmental Impact Report (DEIR) claims that destroying these huge old trees will not release significant amounts of carbon dioxide (which would violate California’s AB32, regarding greenhouse gases). How can this be true? Other fictional claims in the DEIR: They’re only removing dead or hazardous trees. Strangely, that’s never mentioned in the Sin-Ramp; it would be odd indeed if such trees just happened to be inconveniently located next to a Native Plant area. Or that when they remove the thousands of trees, other trees unaccustomed to the exposure won’t blow over in storms. That it won’t increase erosion or run-off. That it won’t impact pollution. The details are below, with references. That all the trees that are removed will be replaced within the natural areas by an equal number of trees that are native to San Francisco. That only dead, dying, hazardous, or unhealthy trees will be removed. That trees are being destroyed because they are non-native and invasive. That tree removals will not alter wind conditions, causing the trees that remain to fail. The City of San Francisco maintains an official list of recommended species of trees for use by the Friends of the Urban Forest and the Department of Public Works. (CCSF Resolution No. 003-11-UFC) The most recent list (2011) categorizes 27 species of trees as “Species that perform well in many locations in San Francisco.” There is not a single native tree in that category. The third category is “Species that need further evaluation.” Only one (Holly leaf cherry) of the 22 species in that category is native to San Francisco. Finally, about 25 native trees were planted on Tank Hill to placate neighbors who objected to the removal of the trees by the Natural Areas Program (NAP). About 10 years later only 5 have survived and only one shows any growth. In fact, the SNRAMP documents that the Natural Areas Program (NAP) does not intend to plant replacement trees for the thousands of trees it proposes to destroy. The majority of trees over 15 feet tall designated for removal by SNRAMP (15,000 trees) are in Sharp Park. The DEIR acknowledges that these trees will not be replaced because this area will be converted to native coastal scrub. The DEIR makes no commitment to replace the trees less than 15 feet tall that will be removed but are not quantified by SNRAMP because they are not defined by SNRAMP as trees. There are probably thousands of trees less than 15 feet tall in the “natural areas” that will be removed and not replaced. Because most of the natural areas are rock outcrops and sand hills that were treeless prior to the arrival of Europeans, there is little acreage within the “natural areas” that is capable of supporting trees that are native to San Francisco: “Two native forest series…comprise approximately 17 acres, 2 percent of total vegetation [in the natural areas]” (SNRAMP, Setting, page 3-11). Obviously, it would not be physically possible to plant thousands of native trees in the small areas in which they would be able to survive. Only MA-3 areas, comprising 42% of total acreage will continue to support the urban forest: “Within MA-3, urban forest species would be planted or encouraged (see Section 5, GR-15)” (SNRAMP, Forestry Statement, page F-3). However, the Forestry Statement also documents the intention to thin the urban forest in MA-3 areas to a basal area of 60-200 trees per acre (our estimate based on the formula for basal area in SNRAMP). That represents a significant thinning of the urban forest when compared to the tree density of the eucalyptus forest on Mount Sutro documented by UCSF as 740 trees per acre. The “Urban Forestry Statements” in Appendix F of the management plan contain the long-term plans for the natural areas in which trees will be destroyed. All but one of these specific plans is some variation of “conversion of some areas of forest to scrub and grasslands.” The exception is Corona Heights for which the plans are “converted gradually to oak woodland.” The Corona Heights natural area is 2.4 acres, making it physically impossible to plant thousands of oaks in that location. SNRAMP documents that young, non-native trees less than 15 feet tall will be removed from the “natural areas.” By definition these young trees are not dead or unhealthy because they are young and actively growing. SNRAMP did not designate only dead, dying, hazardous trees for removal. Trees have been selected for removal only in so far as they support the goal of expanding and enhancing areas of native plants, especially grasslands and scrub. The predominant non-native tree in San Francisco, blue gum eucalyptus lives in Australia from 200-400 years, depending upon the climate. 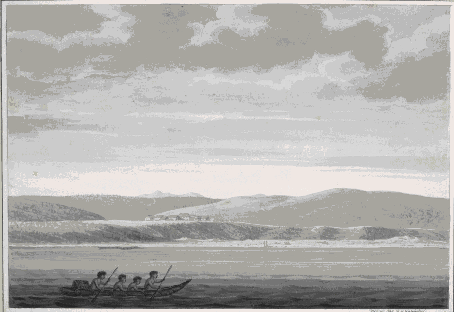 (Jacobs 1955, page 67) In milder climates, such as San Francisco, the blue gum lives toward the longer end of this range. The trees over 15 feet tall that have been designated for removal are almost exclusively blue gum. The Hort Science “Assessment of Urban Forestry Operations” for the Recreation and Park Department states that, “the life-span of the blue gum, the most common eucalyptus species, is unknown.” In other words, although they have lived in San Francisco more than 100 years, they have not lived in San Francisco long enough to know how long they will live here. The Natural Areas Program has already destroyed hundreds of non-native trees in the past 15 years. We can see with our own eyes that these trees were not unhealthy when they were destroyed. The claim that only unhealthy and/or hazardous trees will be destroyed in the natural areas is contradicted by the “Assessment of Urban Forestry Operations” of the Recreation and Park Department, July 2010. Neither written plans nor EIRs are required to remove hazardous trees. The City has the right and an obligation to remove hazardous trees when they are identified as such by qualified arborists. The DEIR claims that only dead, dying, hazardous trees will be removed from the natural areas. This claim is contradicted by the SNRAMP that the DEIR is supposedly evaluating. Not a single explanation in the SNRAMP of why trees have been selected for removal is based on the health of the trees. In not a single case does the management plan for the Natural Areas Program corroborate the claim made in the DEIR that only dead, dying, diseased, or hazardous trees will be removed. In every case, the explanation for the removal of eucalypts is that their removal will benefit native plants, specifically grassland and scrub. In other words, the explanation provided by the DEIR for tree removals in the natural areas is a misrepresentation of the SNRAMP which it is supposedly evaluating. Although it’s interesting and instructive to turn to the written word in SNRAMP for the Natural Areas Program to prove that the DEIR is based on fictional premises, the strongest evidence is the track record of tree removals in the past 15 years. The trees that have been destroyed in the “natural areas” in the past 15 years were NOT dead, dying, or diseased. Hundreds of trees have been removed in the natural areas since the Natural Areas Program began 15 years ago. We’ll visit a few of those areas with photographs of those destroyed trees to prove that healthy, young non-native trees have been destroyed. This track record predicts the future: more healthy young trees will be destroyed in the future for the same reason that healthy young trees were destroyed in the past, i.e., because their mere existence is perceived as being a barrier to the restoration of native grassland and scrub. The first tree destruction by the Natural Areas Program and/or its supporters took the form of girdling about 1,000 healthy trees in the natural areas about 10 to 15 years ago. Girdling a tree prevents water and nutrients from traveling from the roots of the tree to its canopy. The tree dies slowly over time. The larger the tree, the longer it takes to die. None of these trees were dead when they were girdled. There is no point in girdling a dead tree. Many trees that were more easily cut down without heavy equipment were simply destroyed, sometimes leaving ugly stumps several feet off the ground. About 25 young trees were destroyed on Tank Hill about 10 years ago. We can see from those that remain that the trees—which were planted around the same time—were young. They don’t look particularly healthy in the picture because they were severely limbed up to bring more light to the native plant garden for which the neighboring trees were destroyed. All of the trees would have been destroyed if the neighbors had not come to their defense. About 25 oaks were provided to the neighbors by NAP to plant as “replacement” trees. Only 5 are still alive. Only one has grown. The remainder are about 36” tall and their trunks about 1” in diameter, as when they were planted. About 25 young trees were destroyed at the west end of Pine Lake to create a native plant garden that is now a barren, weedy mess surrounded by the stumps of the young trees that were destroyed. These trees were destroyed after all the trees in Stern Grove/Pine Lake had been evaluated by Hort Science. The trees that were cut down to create this new native plant garden had not been judged to be hazardous. They were cut solely for the purpose of expanding the native plant garden. 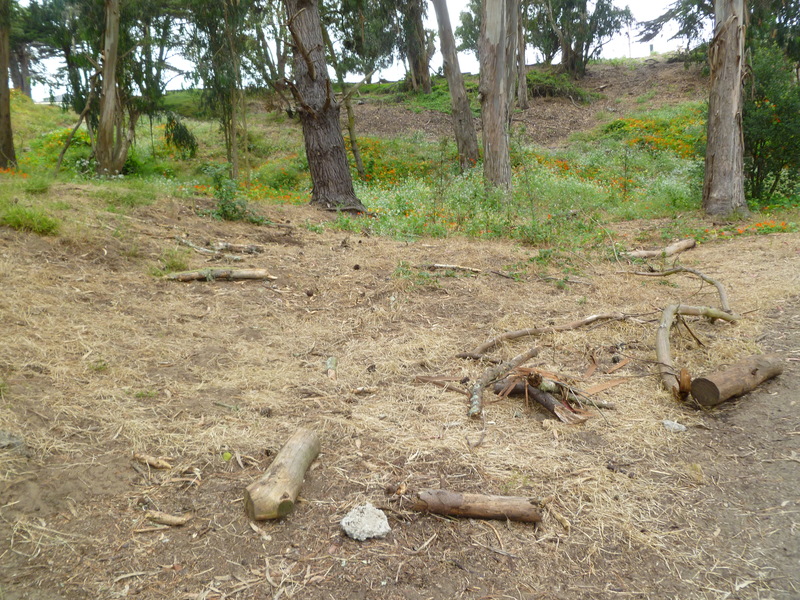 About 25 trees of medium size were destroyed at the southern end of Islais Creek in Glen Canyon Park about 6 years ago in order to create a native plant garden. They were replaced with shrubs. Many young trees were recently destroyed in the “natural area” called the Interior Greenbelt. These trees were destroyed in connection with the development of a trail, which has recently become the means by which the Natural Areas Program has funded tree removals with capital funding. In 2008, the Public Utilities Commission completed a seismic upgrade to the water tank on Mt. Davidson. Because the existing pipe to the tank from the reservoir was “located under sensitive habitat areas” according to the PUC announcement of the project, the pipe was relocated at the insistence of the Natural Areas Program and its supporters. The relocation of the pipe through the non-native forest required the destruction of approximately 100 healthy, mature trees and substantially increased the cost of the project. Only five replacement trees were planted. There was nothing wrong with any of these trees before they were destroyed. Their only crime was that they were not native to San Francisco. There are probably many other trees that were destroyed in the natural areas in the past 15 years. We are reporting only those removals of which we have personal knowledge. 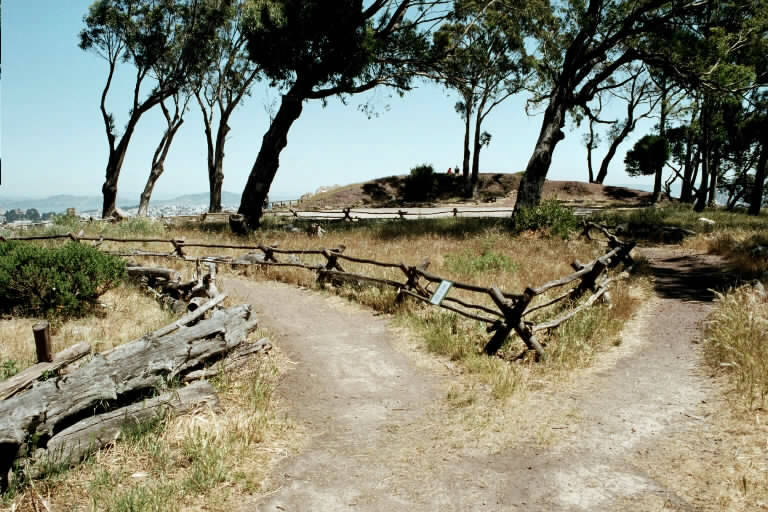 No risk assessments of trees in parks, squares, and golf courses for health and safety hazards had been conducted in San Francisco with the exception of Stern Grove and Park Presidio Blvd at the time the report was published. The hazards identified in those two assessments had been only partially mitigated by the time the report was published. All tree maintenance conducted in San Francisco’s parks is reactive, i.e., done in response to specific requests for tree removals or pruning. There was a backlog of “some 450” such requests at the time the report was written. The “Assessment” recommends that trees be evaluated in 18 parks considered “high priority.” None of these 18 parks are natural areas. In the few parks that contain natural areas, only the “park perimeter streets” will be evaluated. There is no reforestation in San Francisco’s parks, squares and golf courses outside of Golden Gate Park. The number of trees removed in parks and squares exceeds the number of trees planted. The ratio of removals to plantings is significantly higher in golf courses, particularly Sharp Park. The trees in the natural areas had not been evaluated for health or safety when they were designated for removal by SNRAMP in 2006. Therefore, the DEIR cannot claim that the trees designated for removal in the natural areas are unhealthy and/or hazardous. There is no reforestation effort outside of Golden Gate Park. Therefore, the DEIR cannot claim that all trees removed in the natural areas will be replaced. William Russell (USGS) and Joe McBride (UC Berkeley) (Russell and McBride 2003) used aerial photos of Bay Area parks taken over a 60 year period from 1939 to 1997, to study changes in vegetation types. They studied photos of 3 parks in the East Bay (Chabot, Tilden, Redwood), 2 parks in the North Bay (Pt Reyes, Bolinas Ridge), and one on the Peninsula (Skyline). These photos revealed that grasslands are succeeding to shrubland, dominated by native coyote brush and manzanita. (They also noted that this conversion increases fire hazards.) Eucalyptus and Monterey pine forests actually decreased during the period of study. In those cases in which forests increased in size, they were native forests of oaks or Douglas fir. In other words, they found no evidence that non-native trees are invading native trees or shrubs in open spaces in the Bay Area. The California Invasive Plant Council classifies Acacia dealbata (Silver wattle) as “moderately invasive” and the impact of Acacia melanoxylon (Black acacia) as “limited” and adds “impacts are low in most areas.” In fact, acacia does not spread unless it is cut down when it then resprouts vigorously from the roots unless it is poisoned repeatedly or the roots are dug out of the ground with heavy equipment. Neither Monterey cypress nor Monterey pine are invasive. Even the California Invasive Plant Council agrees with that assessment. And both are California natives with fossil evidence that they existed on the San Francisco peninsula in the distant past. On Mt. Davidson, plans to destroy 1,600 trees over 15 feet tall include many Monterey cypresses. In this particular “natural area,” it is therefore not accurate to say that “most” trees that will be removed are invasive. Table 6.2-1 in SNRAMP claims that only .10 acres of Mt. Davidson are forested with Monterey cypress. This is not accurate. Acres of Monterey cypress on Mt. Davidson are much greater. Since these species are also native to California and have existed in San Francisco in the past, it is an exaggeration to call them non-native. The final EIR must provide scientific evidence that the trees that will be destroyed by SNRAMP are invasive or it must delete this justification for their destruction. 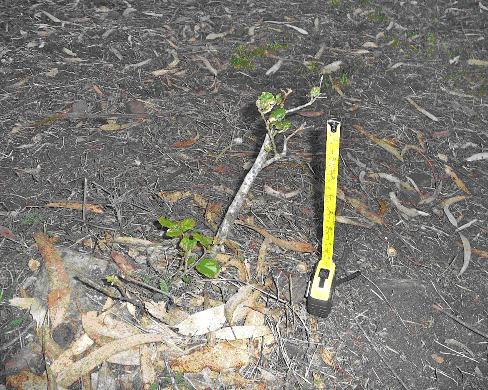 Tree removal on this scale cannot be done piecemeal, taking only a few individual trees on separate occasions. The game of “pick-up-sticks” is a good metaphor to understand the problem. Felling one tree will impact those in close proximity. Whether intended or not, neighboring trees are likely to be felled by the falling tree. Leaving the felled trees on the ground until they are all destroyed is not an option because the restoration objective is to plant the bared ground with native plants, which can’t be accomplished if the ground is covered with dead trees. Furthermore, destroying a large number of trees slowly, over time substantially increases the cost of such tree removals. Even if it were physically possible to remove them piecemeal, it would not be a responsible use of the limited resources of the Recreation & Park Department which frequently justifies the poor quality of its service and the maintenance of San Francisco’s parks on the grounds that their budget is insufficient. In addition to these narrative descriptions of the location of tree removals, SNRAMP contains detailed maps of the natural areas in Section 6 that indicate the location of the tree removals. These maps reveal the vulnerability of the remaining trees as a consequence of some of the tree removals. These trees were cut down in order to expand the native plant garden around Pine Lake. Hort Science had evaluated all trees in Stern Grove/Pine Lake for hazards about one year before these trees were removed. We know those trees were not hazardous, because they had not been judged to be hazardous by the Hort Science evaluation done in 2003. In other words, as a result of trees removed at the west end of Stern Grove by the Natural Areas Program, a large Monterey pine fell across the path around the lake. Hort Science doesn’t mention where the tree fell, but park visitors remember this failure well. It was not a tree that had been previously designated by Hort Science as hazardous. It became hazardous because its wind break was compromised by the removal of trees by the Natural Areas Program. In other words, SNRAMP predicts tree failures on Mt. Davidson from removal of as many as 82% of all trees on 3.5 acres on the northwest side of Mt. Davidson, yet it plans to remove 1,200 trees from those areas anyway. The Forestry Statement of SNRAMP also attempts to minimize the danger of windthrow on the grounds that the trees are not near residential neighborhoods: “In general, potential windthrow hazard to people is minimal because there are no residential areas near the stands where the tree removals will occur.” (Forestry Statement, Appendix F-11). This irresponsible excuse for endangering the public does not acknowledge that there are people visiting these parks and taking their lives in their hands by doing so. The death of a park visitor to Stern Grove in 2008, is apparently insufficient testimony to the way the public is being endangered by these tree removals. 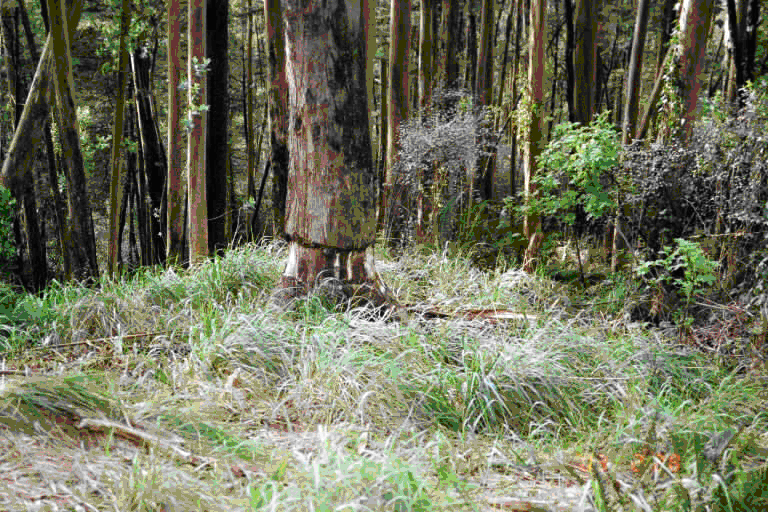 Either the planned tree removals must be decreased to reduce the risk of tree failures caused by windthrow or the final EIR must acknowledge the significant risk of these tree removals. We will examine each of these assumptions in the light of scientific studies and our actual experience with the Natural Areas Program. That native plants will quickly occupy the bare ground on which they are planted. In the 15 years in which the Natural Areas Program has been engaged in its enterprise, it has not successfully vegetated the bare ground created by eradicating non-native plants and trees. Denuded areas are quickly occupied by annual grasses that die back to leave bare ground during the dry season. That grassland and dune scrub and non-native trees are equally capable of absorbing run-off and stabilizing soil. Nor is it believable that 18,500 trees will be taken down piecemeal over a long period of time. This would be both physically difficult and prohibitively expensive. 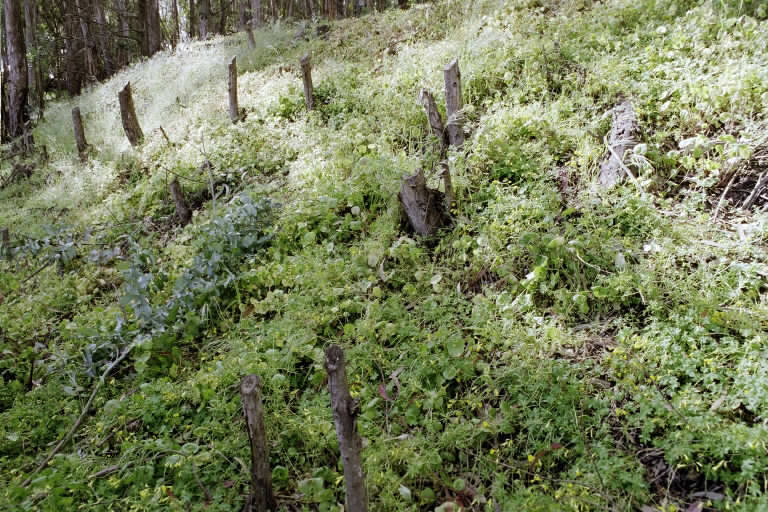 These are only examples of the steepness of slopes in many of the natural areas. The DEIR should be morally and legally obligated to evaluate the steepness of all of the natural areas in the context of the potential for increased run-off and erosion resulting from the removal of non-native trees. The potential for increased run-off and erosion is greatly increased by steep slopes. The DEIR has not considered that many of the planned tree removals will occur in very steep locations. Some of these locations are directly uphill of densely populated residential neighborhoods which are in the direct path of both run-off and landslides caused by erosion. Yet, the risks to these residential neighborhoods have not been considered by the DEIR. The residential neighborhoods surrounding Mt. Davidson are particularly vulnerable to increased run-off, erosion and landslides. The City and County of San Francisco should consider the implications of this suit. If the State of California is willing to sue to keep trees on its levees in order to prevent erosion and flooding, what are the prospects that the City and County of San Francisco can successfully defend itself against a legal challenge to its plans to remove 18,500 mature trees from the parks managed by the City of San Francisco? The City and County of San Francisco is particularly vulnerable to legal challenges from the City of Pacifica regarding its plans for Sharp Park. 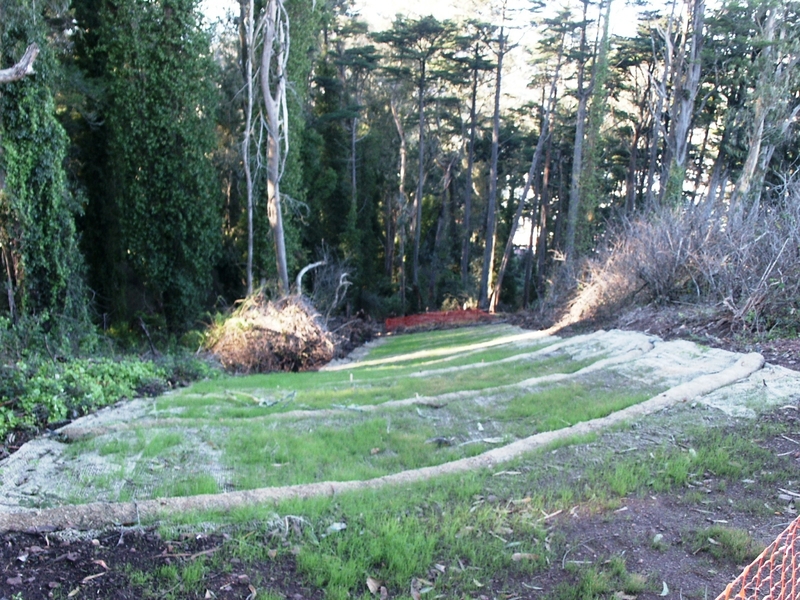 SNRAMP plans the removal of over 15,000 trees over 15 feet tall in Sharp Park. In many management areas 75% of the trees will be removed. These trees will be replaced by dune scrub. The majority of these trees will be removed from the steep watershed at the eastern end of the park. The park slopes from 750 feet above sea level at its eastern end to sea level at its western end. The golf course, archery course, Laguna Salada, and horse pond are downstream from this steep watershed. Tree removals will violate Pacifica’s logging ordinance. The DEIR claims that the City of San Francisco is exempt from this law, but provides no explanation for or evidence to support this claim. The final EIR must explain why San Francisco is not subject to Pacifica’s laws. The final EIR must provide evidence that it is physically possible to remove tens of thousands of trees from a steep watershed without causing sedimentation, erosion, and landslides. 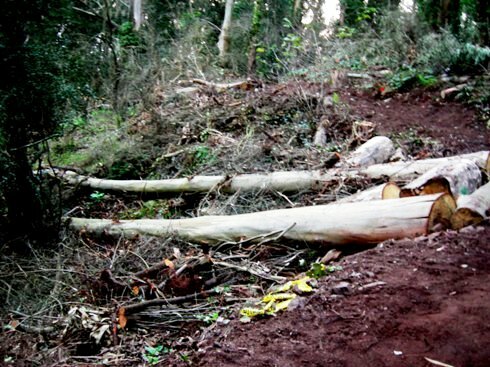 The final EIR must provide evidence that the endangered species that exist in Sharp Park will not be harmed by increased sedimentation, erosion, and landslides resulting from the removal of 75% of the trees in the watershed. The final EIR must evaluate the risk of increased run-off, erosion and landslides. It must substantiate its baseless claims that the removal of thousands of trees will not increase this risk, using scientific studies. If the final EIR cannot provide scientific evidence that these tree removals will not increase these risks, it must mitigate these risks by decreasing plans for removal in natural areas where the risks are great because of steepness and/or the proximity of residential properties endangered by the tree removals. The urban forest of San Francisco stores 196,000 tons of carbon and adds to that accumulated store of carbon at an annual rate of 5,200 tons per year according to the US Forest Service survey. (Nowak 2007) About 25% of the annual rate of sequestration and the accumulated storage of carbon are accomplished by the blue gum eucalyptus, the chief target for destruction by SNRAMP. When a tree is destroyed, it releases the carbon that it has accumulated throughout its lifetime into the atmosphere as Carbon Dioxide (CO₂) as it decays. Carbon Dioxide is the predominant greenhouse gas that is causing climate change. The DEIR confuses the RATE of carbon sequestration with the total accumulated carbon storage in the plant or tree as it continues to grow. While a young tree may sequester carbon at a faster RATE while it is growing rapidly that does not alter the fact that a mature tree stores more carbon over its lifetime as the carbon accumulates. 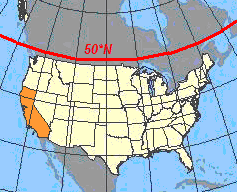 The entire continental United States, including the San Francisco Bay Area, is below 50 degrees latitude. In other words, this statement—even if it were true—does not apply to the San Francisco Bay Area. The statement is taken out of the context of the article. The entire sentence in which this statement appears actually says, “Grassland or snowfields, however, reflected more sun, keeping temperatures lower. Planting trees above 50 degrees latitude, such as in Siberia, could cover tundras normally blanketed in heat-reflecting snow.” It does not snow in the San Francisco Bay Area. Therefore, this statement does not apply to the San Francisco Bay Area. The article being quoted by the DEIR is NOT the scientific study, but rather a journalistic article in The Guardian, a newspaper in England, in which the author of the study has been misquoted and his study misrepresented. As if this misrepresentation of the facts weren’t bad enough, we find in Appendix A of the DEIR that this isn’t the first time that someone has informed the authors of the DEIR that this statement is not accurate. One of the public comments submitted in 2009 in response to the Initial Study quotes Ken Caldeira’s op-ed in the New York Times. Yet, two years later, the DEIR persists in repeating this misrepresentation of Professor Caldeira’s (Stanford University) research. One wonders if the authors of the DEIR read the entire article or just the abstract. The point of the study is that land management techniques such as fertilization, irrigation, introduction of earthworms, plowing and fallow methods, etc., can improve the sequestration of carbon in the soil of croplands and pastures. This is obviously irrelevant to the Natural Areas Program, which is not engaged in agriculture or pasturage. The DEIR claims that because a young tree, growing at a faster rate than a mature tree, sequesters carbon at a faster rate than a mature tree, it follows that replacing mature trees with young trees will result in a net carbon benefit. 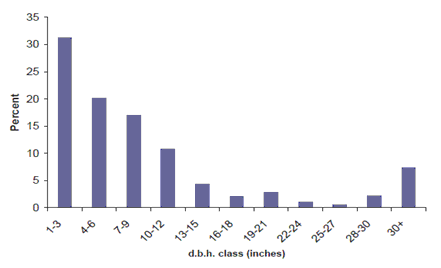 This is NOT a logical conclusion, as illustrated by this graph from the US Forest Service survey of San Francisco’s urban forest (Nowak 2007). This graph tells us that although trees sequester carbon faster when they are very small, the large, most mature trees are also sequestering carbon and they store far more carbon than the smaller trees. This is as we would expect, because the total amount of carbon stored within the plant or tree is proportional to its biomass, both above ground (trunk, foliage, leaf litter, etc.) and below ground (roots). Even IF it were possible replace the non-native trees with native trees—and it’s NOT–the native trees would be significantly smaller than the trees that will be destroyed. The few trees that are native to San Francisco are ALL small trees, compared to the trees that will be destroyed. The Natural Areas Program reports that they have planted 8 species of native trees in the “natural areas” since 2008. Of those 8 species, only one (Red Alder) is classified as a tree by the USDA plant database. The other 7 species are classified as “tree/shrub,” indicating their small stature and low branching habit. Since the amount of carbon stored within the tree is proportional to its biomass, the native trees would never sequester as much carbon as the trees that will be destroyed by the implementation of SNRAMP. In its zeal to exonerate SNRAMP from releasing carbon stored in the trees it proposes to destroy, it contradicts itself, i.e., that SNRAMP proposes to destroy all non-native trees less than 15 tall. These are the very same young trees that the DEIR says are capable of sequestering more carbon than mature trees. If, indeed, carbon storage could be preserved by a forest of exclusively young trees—and it CAN’T—what is the point of destroying all the young non-native trees? If we were starting with bare ground, it might be relevant to compare carbon sequestration in various types of vegetation, but we’re not. We’re talking about a specific project which will require the destruction of thousands of non-native trees. Therefore, we must consider the loss of carbon associated with destroying those trees. It doesn’t matter what is planted after the destruction of those trees, nothing will compensate for that loss because of how the trees will be disposed of. The DEIR claims to have run a model of carbon loss resulting from the project in Sharp Park: “The model returns the CO₂ emission rates for all equipment deliveries, and worker activity involving on-road and off-road gasoline and diesel fuel use.” (DEIR, page 455). The CO₂ emissions resulting from the destruction of 15,000 trees over 15 feet tall in Sharp Park is conspicuously absent from their analysis. The DEIR claims that improving the health of the urban forest by thinning and reforestation with young trees—which will NOT be physically possible–will result in a net benefit of carbon storage. More importantly, even if there were some small increase in carbon storage of individual trees associated with thinning, this increase would be swamped by the loss of the carbon in the trees that will be destroyed. The DEIR provides us with no information about the increase in air pollution which will result from removing thousands of trees over 15 feet tall, untold numbers of trees less than 15 feet tall, thinning the remaining urban forest in the natural areas from approximately 740 trees per acre to less than 200 trees per acre and replacing all those trees with grassland and shrubs which are significantly less capable of reducing air pollution. The final EIR cannot claim that all non-native trees that will be destroyed will be replaced with an equal number of native trees because that is neither consistent with the SNRAMP, nor is it physically possible. The final EIR cannot claim that all non-native trees that will be destroyed are dead, dying, diseased, or hazardous because they are NOT and the claim contradicts the SNRAMP. The citations used to make bogus claims regarding carbon sequestration must be removed because they are not relevant and they have been misrepresented by the DEIR. 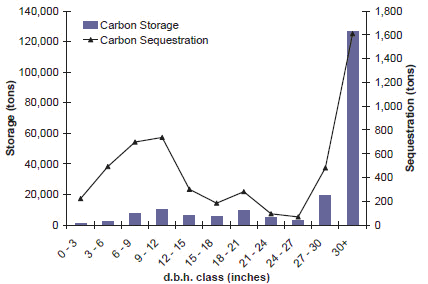 RATES of carbon sequestration must not be confused with the total accumulated stored carbon in mature trees. The DEIR has not quantified the carbon stored in the current landscape; has not quantified the carbon released by the planned tree destruction; has not quantified the carbon stored in the resulting grassland and scrub. The claimed “qualitative analysis” does not tell us how much carbon will be released into the atmosphere by the implementation of SNRAMP. As required by CEQA and California Law AB 32, the final EIR must quantify the loss of carbon resulting from the destruction of thousands of healthy trees, compare that loss to the resulting vegetation (grassland and scrub) and mitigate for the net loss of carbon that is the inevitable outcome of the implementation of SNRAMP. —, “Urban Forest Plan, City & County of San Francisco,” Urban Forestry Council, Department of the Environment, April 2006. Anderson, J., et. al., “The Potential for Terrestrial Carbon Sequestration in Minnesota, A Report to the Department of Natural Resources from the Minnesota Terrestrial Carbon Sequestration Initiative, February 2008. Caldeira, Ken, “Planting trees is far from pointless.” The Guardian, December 16, 2006. Conant, Paustian, Elliott, “Grassland Management and Conversion into Grassland Effects on Soil Carbon,” Ecological Applications, 11 (2) 2001, 341-355. Russell, William H., McBride, Joe R., “Landscape scale vegetation-type conversion and fire hazard in the San Francisco bay area open spaces,” Landscape and Urban Planning, Volume 64, Issue 4, August 15, 2003, pages 201-208. It would be helpful and put things into perspective if the total number of trees for each site was given. I remember reading in an earlier document (2006 ) that the estimated total number of trees in the NAP to be 64,000 trees. Total removals within the City are estimated at around 3,400 or approximately only 5% of trees in urban forests of the Natural Areas System. That’s FIVE PERCENT! Why all the fuss over such a small number of trees? [Webmaster: Thanks for stopping by to comment, and apologies for it taking so long to respond – This somehow went in the wrong file. We don’t think it’s trivial to remove 3,400 trees in San Francisco; the city already has a canopy cover of only 13.7% as against an ideal of 25% for a Western city. Trees have enormous benefits to health, to the environment by fighting climate change and pollution, and even to property values. Even if we were to ADD 5% of trees each year and lose none, it would take over 12 years to reach the 25%.